Get a car on lease, to enjoy a comfortable and reliable ride on the vehicle that you desire. With this, comes the concept of Residual Value that will help in calculating the value of vehicle at the end of lease. This will improve the process of car lease negotiations that would eventually reduce your pocket’s expense. People have been buying used vehicles for a long time, and they have various reasons to do so. Some people buy used vehicles for the low price, while some buy them for learning or collection purposes. However, in the bargain of used vehicles, you only win when you pay the right price. However, much first time used car buyers get deceived when it comes to Used Car Price due to lack of knowledge about the same. Owning a car is a dream come true for many. Nowadays, cars that are cheaper, have greater mileage, are more compatible with one’s lifestyles are being launched on a regular basis. While putting your used bike on sale, it is important to get the right estimated value of the bike in the market. By using online tools and price estimation engines, you can know the Value of your Used Bike and can quote a good amount to get the maximum benefits. OBV Launches Its Animated TV Ad Campaign! OBV is back on TV. We are excited to share that our television ad campaign is airing on various channels. OBV aka Orange Book Value is a Used Vehicle Pricing Engine, and has already saved 20 crore Indians from getting duped while buying a pre-owned vehicle. If you are planning to sell a used car, it is very important to understand its fair valuation in the market. Today, online price estimating apps and pricing engines are offering tools which can be used to find the best price for used car for free. These platforms are built with advanced algorithm that helps in offering precise used car valuation to strike a deal at best price. Selling a used car can be a novel experience if you are new to the car-selling process. While selling your used car, it is important that you are in an offensive position rather than a defensive one. An offensive position is when you have complete knowledge about your car and vice-versa. The online market has become a go-to-place for shopping. With a plethora of e-commerce websites available, shopping lifestyle products, electronic gadgets and clothing have become as easy as pie. Maruti Suzuki Swift Dzire If we talk about the best-selling used sedans in India, Maruti Suzuki Swift Dzire stands among the top models. The Swift Dzire was launched in the market on 26th March, 2008 by homegrown manufacturer Maruti Suzuki. It is basically a compact sedan based on the platform of the popular Swift hatchback. Used Maruti Suzuki Swift Dzire is offered in 14 variants namely LXi, LXi (O), LXi ABS, VXi, LDi, VXi ABS, LDi ABS, VXi AT, ZXi, VXi AT ABS, VDi, VDi ABS, ZDi, and ZDi AMT, and all these variants are available in the used car market. Used Maruti Suzuki Swift Dzire is offered in various trendy colours that include Pearl Arctic White, Silky Silver, Cave Black, Magma Grey, ALP Blue and Sangria Red. Droom, India’s first and only marketplace for used vehicles and related services, has launched Orange Book Value (OBV) for used mobile phones. 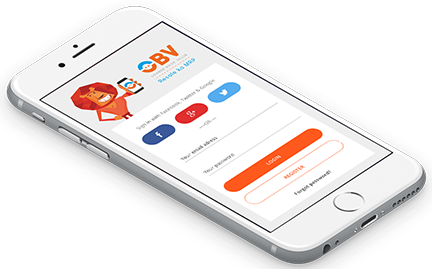 With OBV for used mobile phones, now, you can check the Fair Market Price of any Used Mobile Phone in 10 seconds on OBV. We have a huge database of more than 2500 mobile phone models, and this is one of the most comprehensive mobile phone lists available on the internet. Being the most important product of Indian auto giant Maruti Suzuki for years, the Maruti Suzuki Alto is one of the top 5 used hatchbacks sold in the Indian used vehicle market. Used Maruti Suzuki Alto has always been one of the favourite cars among the used cars buyers who are looking to purchase a small car at an affordable price. It is reliable and reasonably priced. Used Maruti Suzuki Alto and the all-new Alto model, used Maruti Suzuki Alto 800, both are doing great sales numbers in the pre-owned car market in the country. Used Maruti Suzuki Alto and Alto 800 cars are available in various colours that include Auburn Brown, Absolute Black, Mojito Green, Blazing Red, Granite Grey, Silky Silver, Mojito Green, Cerulean Blue, Granite Grey and Superior White. The car is powered by a 3-cylinder, 0.8-litre engine that produces 48 PS of maximum power while churning out 69 Nm of peak torque. At Droom, you can find the largest collection of used Maruti Suzuki Alto with a total listing of 1540 vehicles from all over the country. Used car market in India is growing at a rapid pace with each passing day. Several potential car buyers are looking to purchase a reasonably priced, yet reliable and value for money vehicle. Here, we have listed some of the most selling used cars in India which are witnessing very good numbers in terms of sales. Let's check them out. At Droom, we constantly make efforts to improve the user experience and acknowledge grey areas of the automobile market in India using technology. One of such initiatives is Orange Book Value Enterprise (OBV Enterprise). We have recently launched OBV Enterprise 2.0 to provide a complete pricing solution for used automobiles to various banks, NBFCs and Insurance Companies. The OBV Enterprise is designed to help BFSI sector companies in checking the fair price of used automobiles and make the right business decision before giving credit, acquiring a vehicle, putting a vehicle on auction or more. Buying a well-maintained used vehicle over a brand-new one is always a smart choice to make. A new vehicle loses its value as soon as you drive it out of the showroom. Used vehicles also go through the process of value depreciation, but in this case, it happens at a slower pace as they have already gone through the major value depreciation period. Second-hand cars, if bought in good condition, return great value for money. Every person dreams about buying a car of his/her own. No matter if it is a brand-new car or a used one, it is always exciting to buy a vehicle. Moreover, purchasing a used car can be more fun as you get to buy a well-maintained pre-owned car for almost half of its original price. Motorcycles are probably the most popular vehicles among the Indian automobile customers. The mass segment vehicle buyers in India look for something which would be the most cost-effective and will serve the best value for their money. Bikes are the best vehicles for this segment of buyers. Also, if we pay attention to the traffic condition and road condition in our country, driving a four-wheeler becomes a tough task most of the times. In this case as well, two-wheelers come as a boon to the daily commuters as riding two-wheelers for our daily commute make things much easier as well as pocket friendly. The buyers in the used-vehicle market are looking for better options among the pre-owned vehicles as they serve as a great value for money product. Customers can buy a used vehicle, which is in excellent condition both aesthetically and mechanically, at a very reasonable price. And this way, we do not have to spend a fortune on the car we want to buy. Orange Book Value Launches its Exciting TV Commercials! We are excited to share that we have launched our latest TVCs for Orange Book Value (a service by Droom). These amazing animated ads highlight how OBV empowers users while they are selling or buying any used vehicles online or offline. With OBV you can get fair market price of any used vehicle in 10 seconds. So, no more debate on "gaadi ka rate kya hai!" Are you planning to buy a used scooter anytime soon, but don’t know how much money shall you keep for your budget? Also, are you thinking about the quality of the used scooters and worried about their reliability factor?For all those people, buying a used scooter is not much of a hassle if you understand the pricing of used vehicles and how it is done. Orange Book Value (OBV) is basically an algorithmic pricing engine that comes up with the current market value of used vehicles that include cars, bikes and scooters. Unlike other sources, Orange Book Value not just depend on historical data for determining a vehicle's fair market price but also uses scientific evidences and real-life factors that play major roles in value depreciation of vehicles. These factors include the make and model of the vehicle, the variant of the car or bike, year of manufacturing, the number of owners, odometer reading that indicates the number of kms driven, and also the basic physical and mechanical condition of the second-hand vehicle. You need to keep your car in a really good shape and very well-maintained in order to get a high market value from it at the time of selling it off. Before buying a used car from a dealer or an individual, you need to understand some things about how a car seller comes at the price he puts on the sticker. Generally, a dealer calculates his own of-pocket costs before determining a selling price on the used car.